The Contour Shuttle Express and Pro V2 are USB controller accessories for PCs. 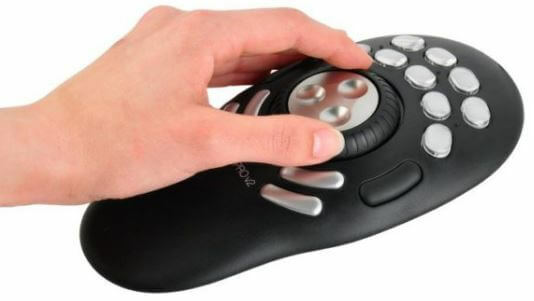 They consist of a knob-like wheel with multiple buttons and they are designed as a keyboard replacement for improving the productivity of video/photo editors. However, several people have found them useful for controlling software defined radio receiver programs like SDR#. Recently SDR# plugin developer Eddie Mac has released a new SDR# plugin that provides native support for the Shuttle devices from within SDR# itself. The plugin allows you to dynamically map the Shuttle’s buttons and wheels to functions within SDR#. There was no wrapper available for Contours Windows SDK so I created a managed .NET wrapper around contours dll. If anyone wants to develop their own software for these devices I will happily provide them with my .NET wrapper for free as well as a demo app to instruct on its usage.